With a famous name made more famous by its Star Wars connections, the 2017 Nissan Rogue is one of the best-selling midsize SUVs on the market. 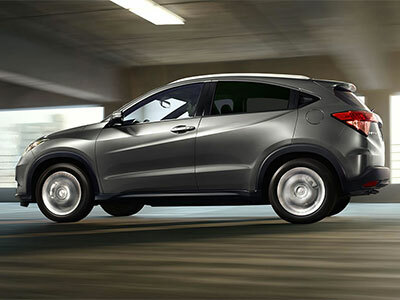 We'll see why as we compare it to the smaller, newer Honda HR-V. Who will win in this dogfight? With its new V-shaped grille and sporty styling, the 2017 Nissan Rogue looks sporty and commanding on the outside. Inside, a luxurious interior with comfortable seats and quality materials will impress you, as will the quiet ride. The 2017 Nissan comes as a five-seater, or you can add a third row to seat seven. You'll also enjoy an impressive 32 cubic feet of cargo space. Because of its magic seat system, the Honda HR-V adjusts to fit an astounding 60 cubic feet of cargo capacity despite its smaller footprint. Like the Nissan Rogue, the HR-V has a quiet cabin and upscale interior, but the comparison stops there. As a subcompact SUV, it lacks leg room in the front and a low ceiling makes for little head room in the back. The HR-V seats five with no room for a third row. The Nissan Rogue has a bevy of features that come standard, like motion-activated rear liftgate, heated seats, a 7-inch infotainment screen, digital display, heated steering wheel, and physical knobs and buttons. Unfortunately, the NissanConnect is a slow infotainment system. The HR-V fares worse, though, with an equally problematic infotainment system in the HondaLink and a meager offering of tech features. The base trim only gives you Bluetooth, USB port, four-speaker sound system, multi-angle rearview camera, and a 5-inch display. Knobs and buttons help with the HondaLink system, but in the upper trims these go away to make room for a larger touchscreen. The Nissan Rogue has good fuel economy for its size, coming in at 26 city and 33 highway miles per gallon. The hybrid option bumps the fuel economy a bit further, giving you an excellent 33/35 miles per gallon. Despite being a much smaller vehicle, the Honda HR-V offers up the slightly worse numbers than its competition: 25 city and 33 highway miles per gallon. Surprising, to be honest, since its a smaller, lighter vehicle. Unfortunately, the Nissan Rogue scored only four of five stars on its government safety rating. The Rogue fared better in the IIHS rating, which factors in some of its active safety features. Those features include forward collision warning with automatic emergency braking, adaptive cruise control, blind spot, and lane departure warning and prevention systems. On the other hand, the Honda HR-V received a perfect five stars. Though it offers no active safety features standard, optional features include vehicle stability assist with traction control, ABS brakes, brake assist, and multi-angle rearview camera with guidelines. 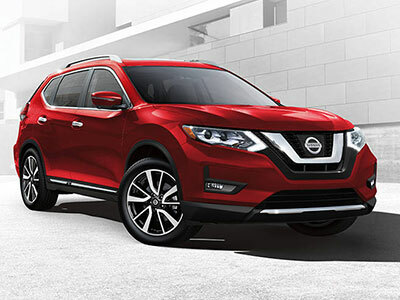 The Nissan Rogue isn't the safer vehicle unless you spring for optional features, but it is more comfortable, more fuel efficient, and offers more technology to today's modern buyers. In this head-to-head the force is stronger with the Nissan Rogue.